Some kids love the idea that they can earn money to trade in for an item or a privilege. Activities like a sleepover with a friend, or lunch at Grandma’s, can be a wonderful incentive when earned for a specific amount of play dollars. 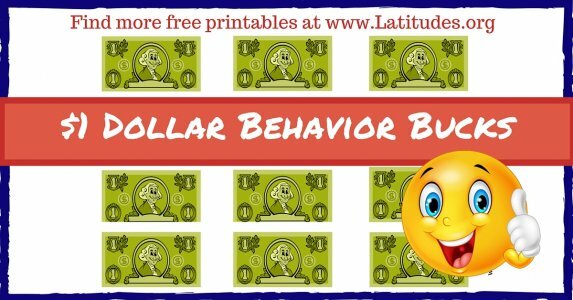 Behavior Bucks also give you the opportunity to delay a reward. Let’s say your son or daughter wants to go to the park with Dad, but it’s going to be raining for the next two days. Since it’s not possible to go with Dad that day, just seeing the Behavior Bucks in a nice safe place that can later be traded in for that outing helps them know they earned the reward. 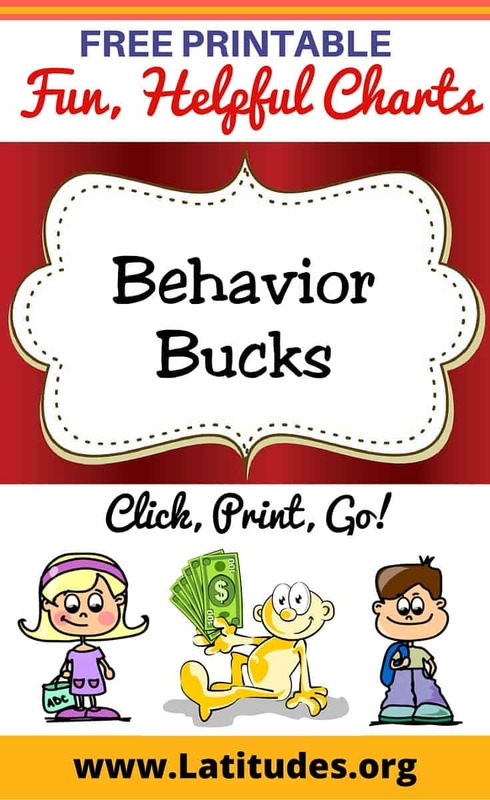 We think you’ll enjoy our Behavior Buck printables. 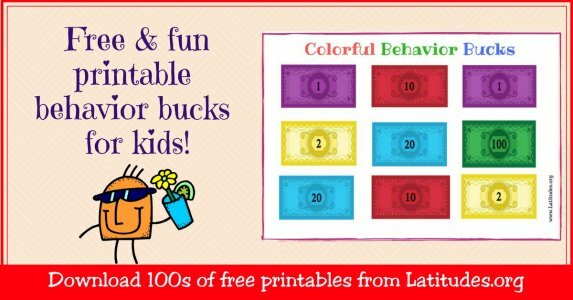 Decide whether your youngster would enjoy bucks decorated with colorful characters, or money that looks more like the real stuff! Print and cut enough pages that you have a generous stack on hand to use with your child. After all, you want your child earning money. Selecct pages of bucks that you think your child will enjoy; you can involve them in picking them out, if you want. We recommend you cut them up and save them by denomination in zipped sandwich bags. 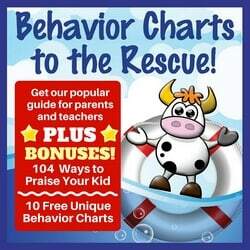 On a page that you can keep have your child refer to, make a list of rewards and how many bucks are needed to be saved for a particular reward. 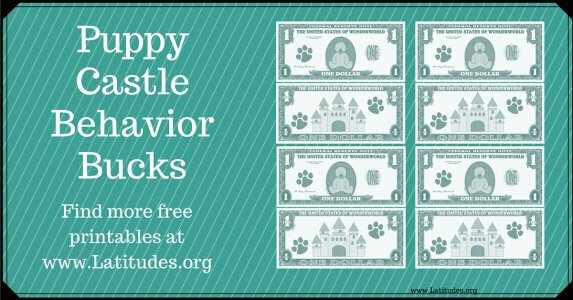 Be sure your child understands the value of the different buck denominations and how to go about saving them toward a certain reward. 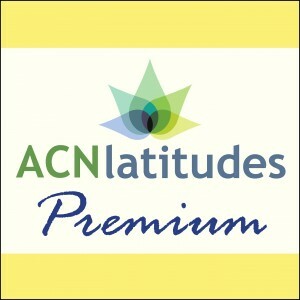 You can focus on merchandise–from a book to a little toy–as well as family activities or other non-material bonuses. 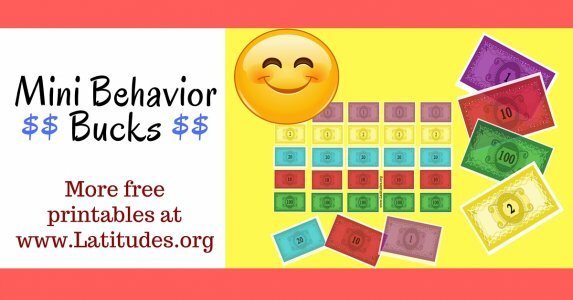 Use different colors and designs of Behavior Bucks to vary the experience from time to time. Also, change the list of rewards to keep things fresh to keep motivation high. It’s best to assure that the rewards are of interest to the child. If they aren’t motivated by the rewards, they won’t want to spend their bucks on them! 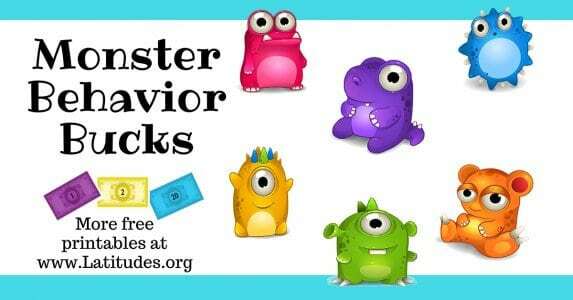 If you like using our free printables, then please use our social share buttons to tell your friends and family about them. 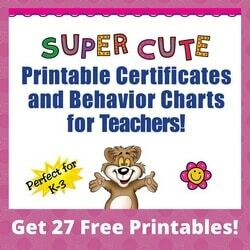 Be sure to check out all of the other free charts and printables we offer on our site by navigating our menu. We also suggest for you to follow our Pinterest page for more helpful goodies! 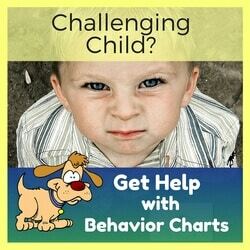 We regularly post behavior charts and other useful behavioral tools to our followers. If you have any ideas on new charts that you would like to see us offer, then please send us a note. We would love to hear from you!